Besides the weather changing, so is my closet. ;-) Although it's still too warm to wear, I bought some clothes from the new collections in stores. I absolutely love fall and winter fashion, hence, I don't mind the changing weather. 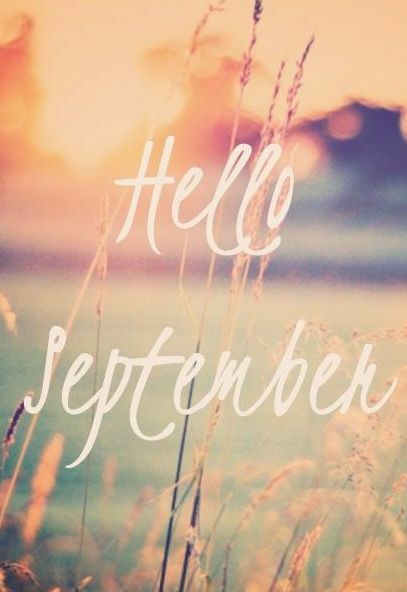 That being sad, I have a good vibe feeling of September. August was ever changing to me and I think September will too. But not the bad kind of change. But the exciting, butterfly in stomach feeling change. And I started at a new gym! At least that's a little change that brings joy to my life, because I love to workout! I finally go to a gym that has those ropes for your arms, can't wait to use it. This all doesn't mean that I secretly hope for a few late summer warm days which I can spend outside!